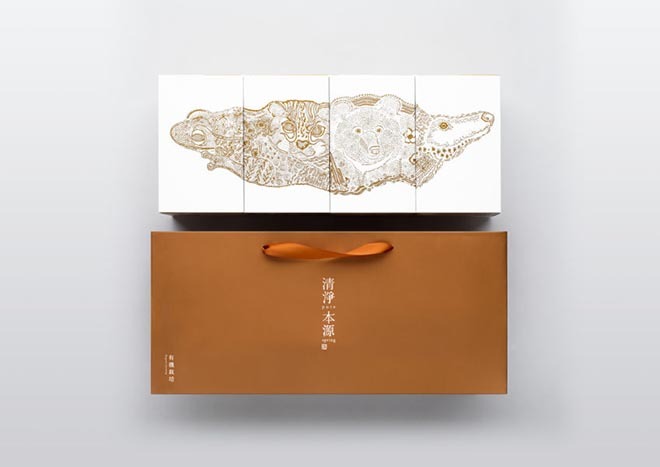 Our first featured design winner from the Golden Pin Design Award in Taiwan is the Tse-Xin Organic Tea Carrying Case – Taiwan Tea Series of Conservation Animals, produced for Tse-Xin Organic Agriculture Foundation by 3ya design Associates. The Packaging Design award winner features hand-painted images in simple yet elegant colors that communicate the brand’s devotion to organic farming. When the series of four boxes is placed in order from left to right, a complete map of Taiwan appears. 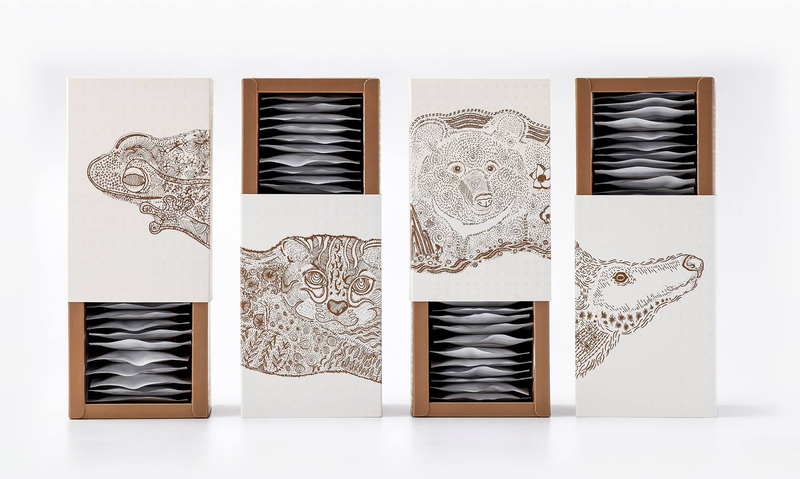 When they are separated, each image represents an animal under Taiwan’s conservation program and in its natural habitat. 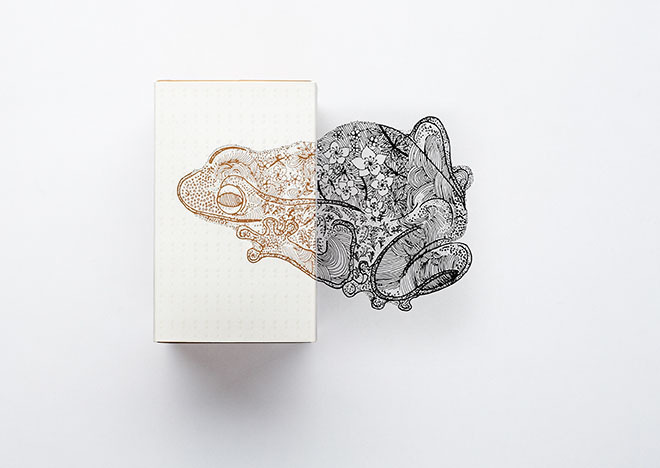 These images consist of a tree frog moving with the ripples of the river, the trail of a leopard cat appearing in the forest, a black bear strolling through the valley, and a spotted deer exploring in the rain. 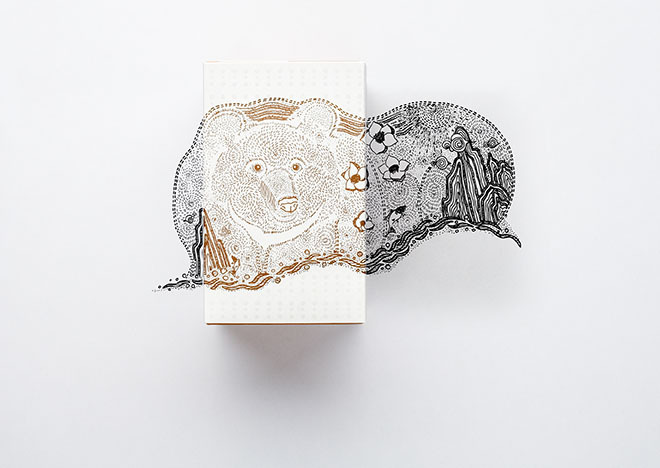 The two sides of the inner box contain illustrations of human industries and the natural environment, which represent the brand’s commitment to cherishing the earth through environmentally friendly cultivation practices. The simple design makes for convenient transportation and storage, as the boxes can be spread flat. 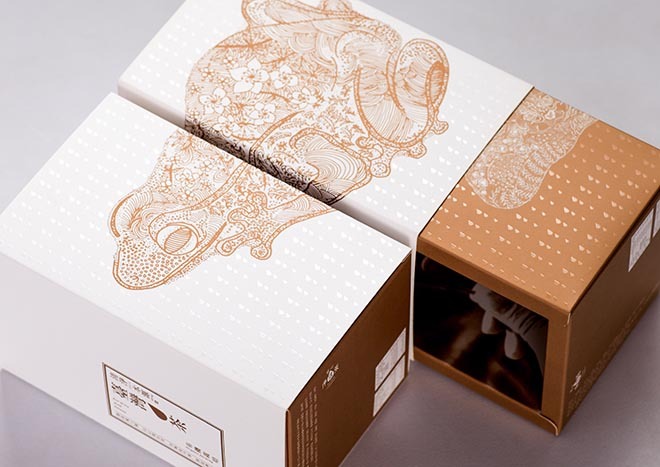 The concept of offering an immediate tasting sample offers foreign visitors to Taiwan a new choice for souvenirs and gifts to take home. 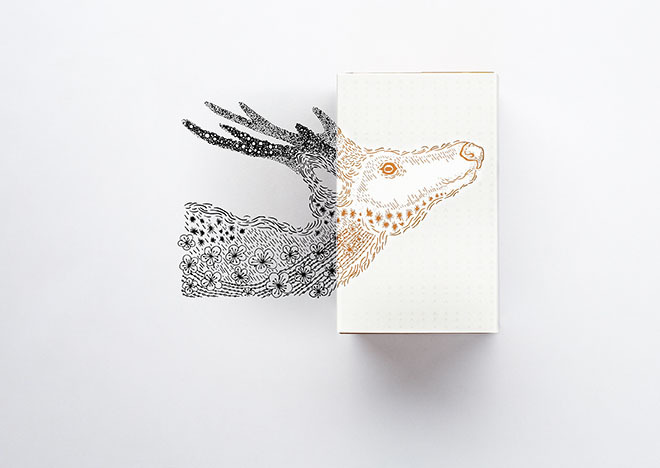 Creative director Li-En Chen explains that the design team drew inspiration from the animals themselves. 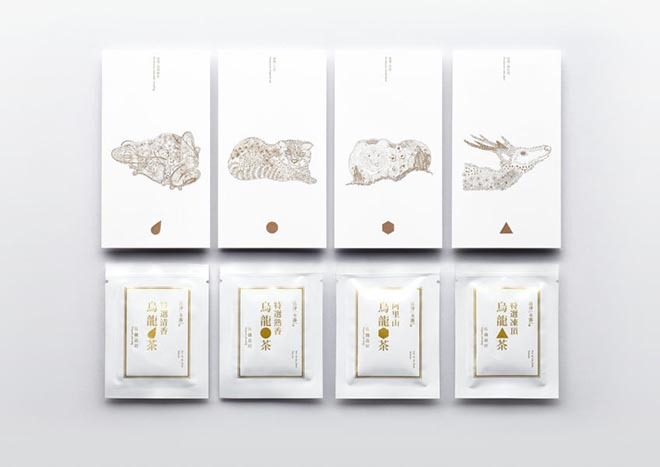 The tea company’s commitment to organic farming methods is expressed in the choice of four animals from four different parts of Taiwan. The Taipei tree frog, Rhacophorus taipeianus, is potentially threatened by habitat loss, although its population trend is stable. The Formosan black bear (Ursus thibetanus formosanus, or Selenarctos thibetanus formosanus), also known as the white-throated bear, is found only in rugged high-altitude areas of Taiwan. Numbers are not known. The Formosan sika deer (cervus nippon taioanus) was believed to be extinct for almost two decades before individuals from zoos were introduced to Kenting National Park, on the Hengchun Peninsula at the southern tip of the island of Taiwan. The population now numbers 200. 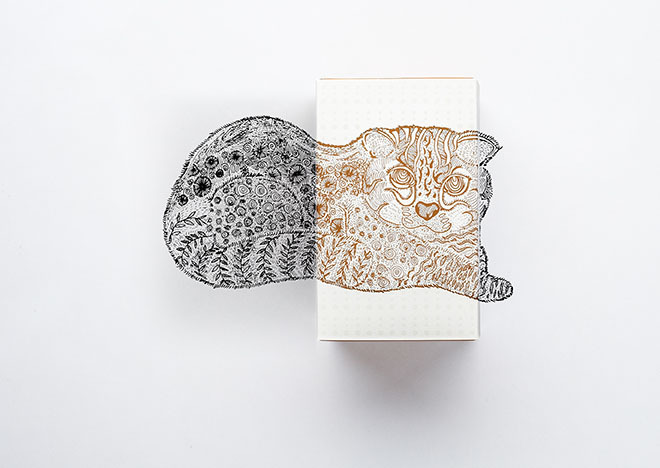 Taiwan’s leopard cat is under threat, with less than 500 animals divided into three isolated populations in Miaoli, Nantou, and Taichung counties. 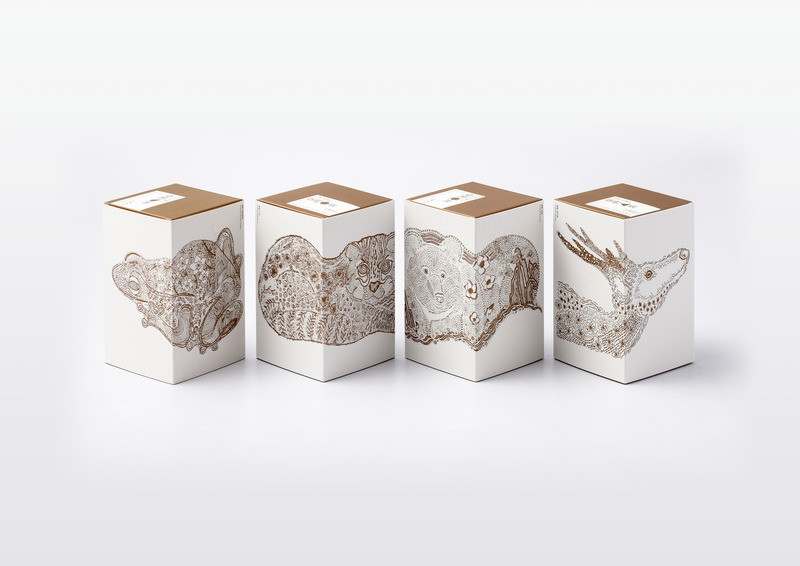 The Conservation Animals tea series carrying case was developed at 3ya Design Associates, Kaohsiung City, by creative director Li-En Chen, and art directors Yu-Rui Yu and Tzu-Chi Yi.